Jim Henson was the creator of the Muppets. He was passionate about education, the environment, world peace and the arts. 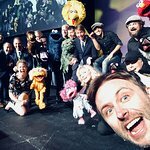 He used his Muppet friends to raise awareness of issues close to his heart, and created the Jim Henson Foundation in 1982 to promote and develop puppetry in the United States. After his death, his wife set up the nonprofit organization Jim Henson Legacy, which is dedicated to preserving and perpetuating Jim Henson’s contributions to the worlds of puppetry, television, motion pictures, special effects and media technology. 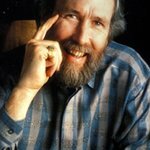 Jim Henson has passed away, but we remember his charity work. Google trends for "Jim Henson"
We don't have any videos related to Jim Henson.